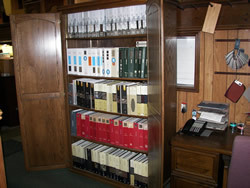 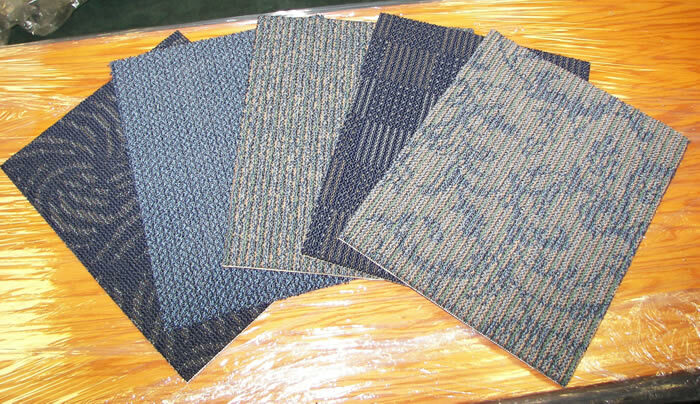 Let us present dozens of carpet styles with hundreds of color selections to you and your group. In the following photos you will see numerous church's that we have contracted and worked with to finish or refurbish their new and/or existing buildings. 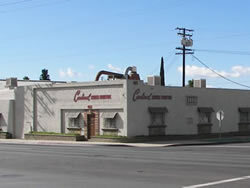 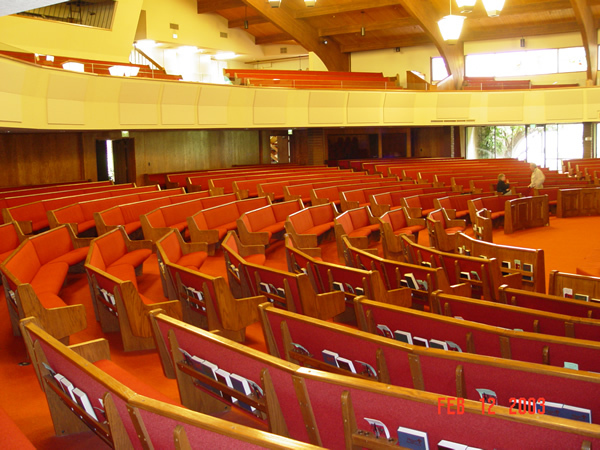 Covenant Presbyterian Church in Orange California had red pews and red carpet from when the building was built almost 40 years ago. 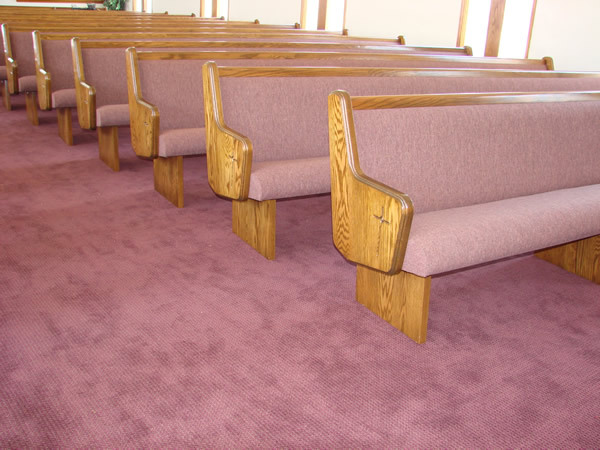 After many meetings with the church committee, softer earth tones were selected and samples were provided. 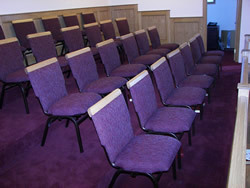 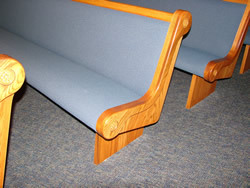 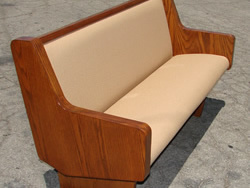 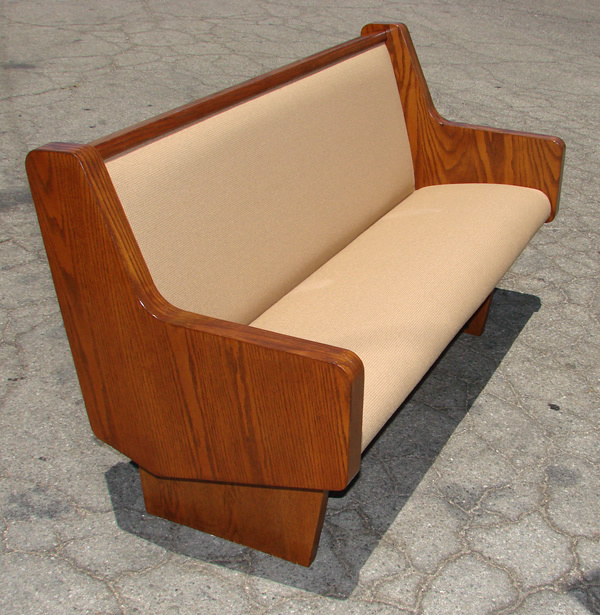 A sample pew was presented to the church. Dates were set for pulling their church pews out. 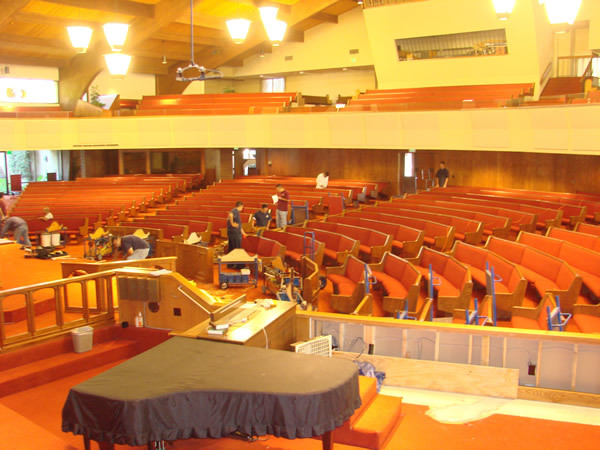 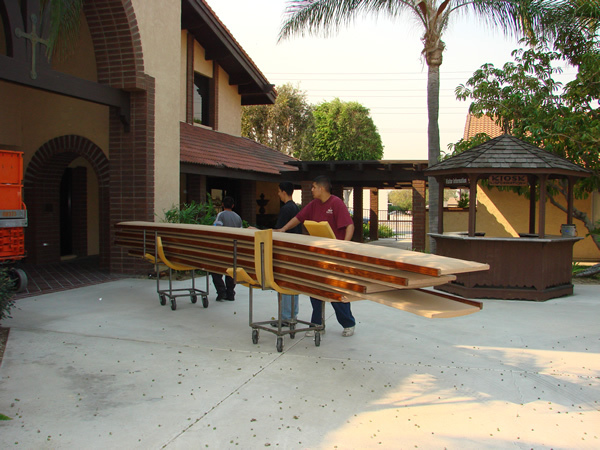 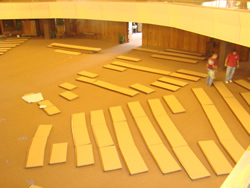 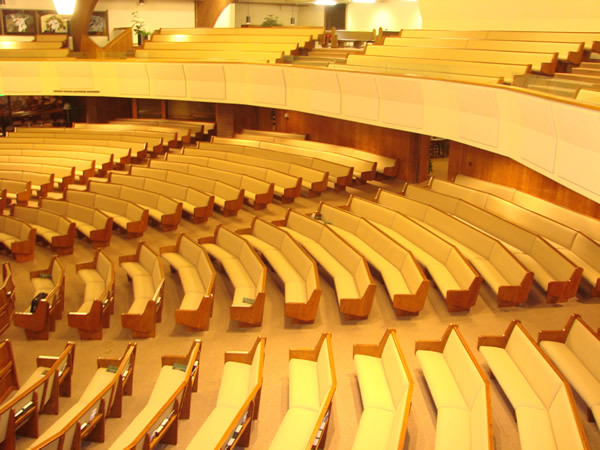 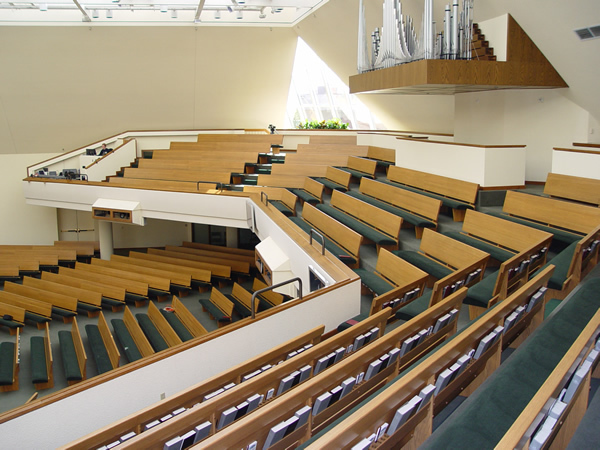 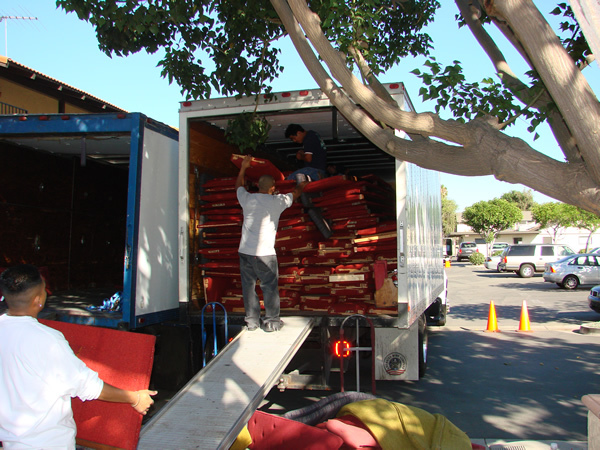 We sent our professional crew to remove all of their pews within one day. 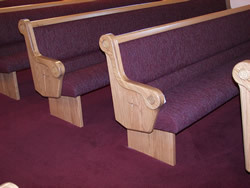 Their church pews were mitered product so this was no ordinary task. All employees are covered with our Workman's Comp Insurance, with general liability insurance that covers our company and employees while working on your pews. 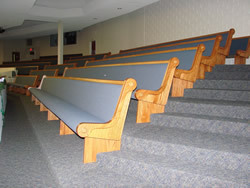 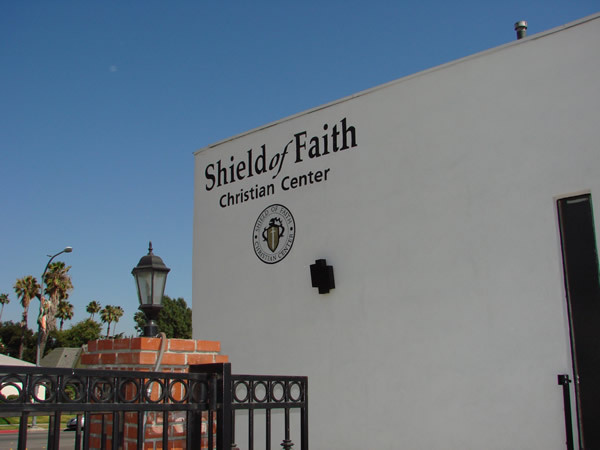 When we are at your site as well as when we are at our factory, your organization and your pews are protected and covered. 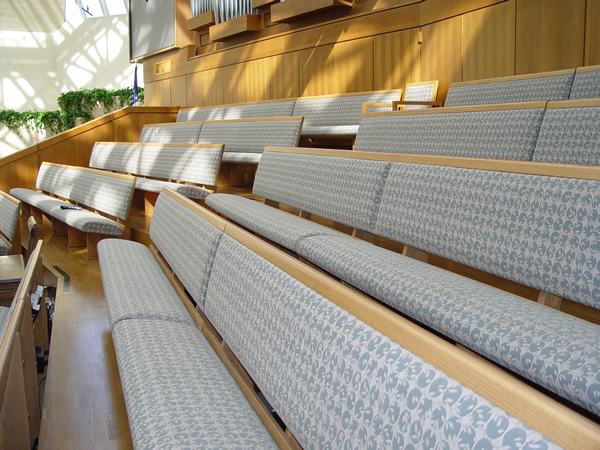 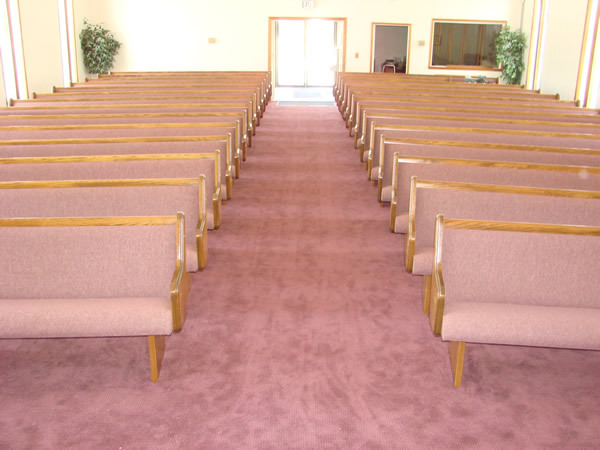 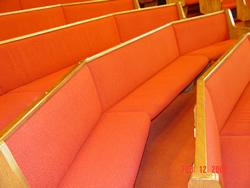 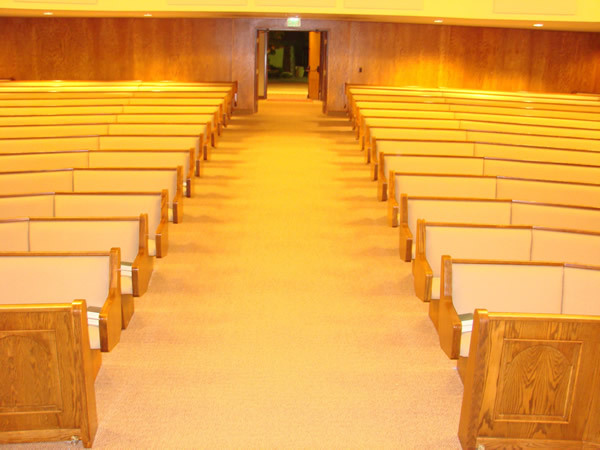 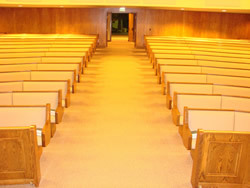 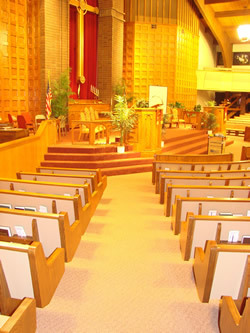 Our carpet crew is scheduled to work in harmony with our church pew removal and installations. 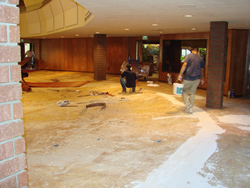 The pulling of the old carpet and installation of the new carpet is always scheduled to be done when we have complete access to the building. 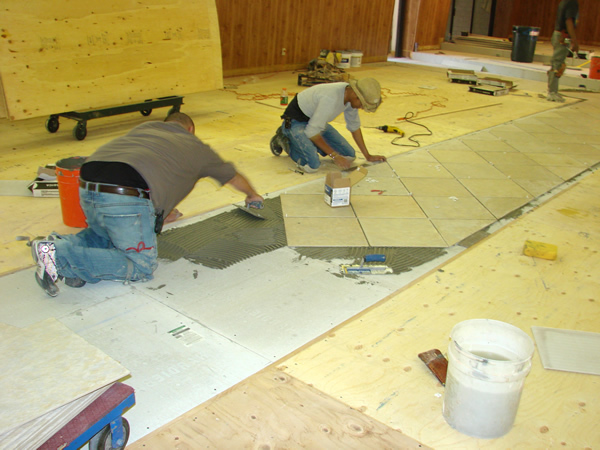 In the above photo , the crew "preps" the existing floor before laying new carpeting. 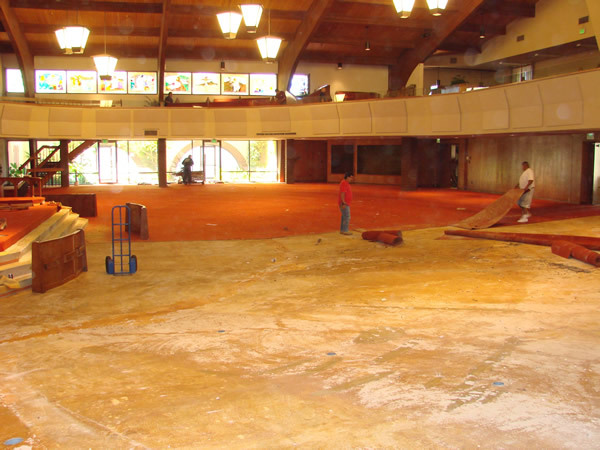 All imperfections of the floor will be remedied prior to the installation of the new church carpet. Church carpet, tiles and pews flow back into the church on schedule, step-by-step. 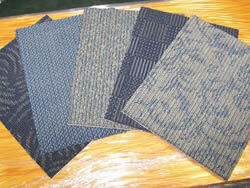 Vibrant mixtures of blue carpet that enhance the coolness of the fabric tones. 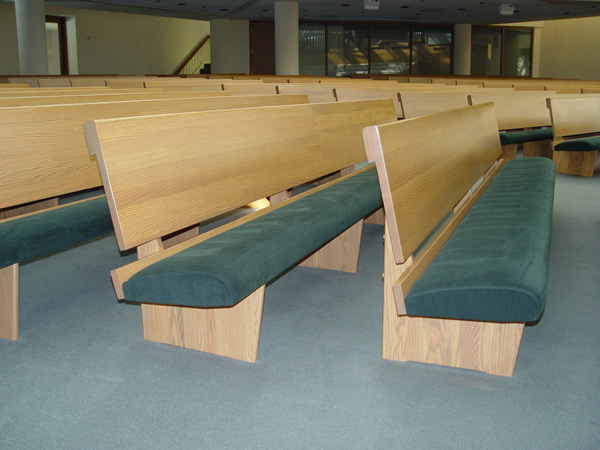 The rich solid oak adds the perfect touch. 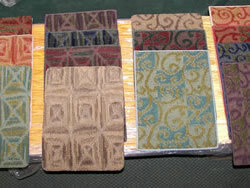 Carpet colors with coordinating fabric show this combinations as a winner.